There are very serious economic and financial implications for the Virgin Islands (VI), as a consequence of the United Kingdom's (UK) decision, to impose public registers of beneficial ownership (public registers) on the Overseas Territories (OTs). Company incorporations and other areas of financial services business were already declining and this latest development will likely further contribute to this trend. We should assume therefore, that there will be a negative impact on the economy over time, if not much sooner. To compensate, tourism will have to take on a much more prominent role as a driver of economic growth in the medium and longer term. The UK Sanctions and Anti-Money Laundering Act, that received Royal Assent on May 24, 2018, requires the OTs to implement public registers by December 31, 2020, or have them imposed by an Order in Council, in the UK Parliament. Compliance with the legislation would require the VI Government to make public the names of the ultimate beneficial owners of VI companies. Now it is true that one of the attractions of the jurisdiction, is the confidentiality it provides to clients, but not for secrecy purposes. Rather for privacy and security reasons. People are entitled to privacy. It is one of the hallmarks of a civilised society. Taking away privacy as one of the important features of the jurisdiction, would compromise its business model and drive away clients for whom privacy and security, among other things, are paramount. The Government’s position on the matter is that the VI will not implement a public register, until it becomes a global standard. This is to prevent the financial services industry from being at a competitive disadvantage, relative to the Crown Dependencies (i.e. Jersey, Guernsey and Isle of Man) and the overwhelming majority of jurisdictions around the world that do not have public registers. The importance of financial services to the VI economy cannot be understated. It is a critical source of revenue for the Government, especially right now as the Territory recovers from Hurricanes Irma and Maria. Prior to the storms, financial services accounted for 60 per cent of government revenue. In 2018 the sector is expected to contribute roughly $180 million, to the Government’s budget of $300 million. In its wider economic context, financial services supports the economy in terms of employment, rental properties and the purchase of goods and services locally. In 2016, it accounted for 21 per cent of Gross Domestic Product which was roughly $200 million. The gross added value (GAV) generated by the sector is just about $333 million. The Government itself, on the back of financial services, is one of the biggest buyers of goods and services in the Territory and also the largest employer. UK consulting firm Capital Economics estimates that implementing a public register would cause company incorporations to decline by nearly half of over time. This would result in a loss of 45 per cent of government revenue which is just about $135 million today. The impact on the wider economy would be much greater. the UK Parliament will pass an Order in Council to enforce implementation. If a compromise is found, the situation should stabilise. If an Order in Council is passed, the VI Government has confirmed it will mount a legal challenge. If the Government wins, then the industry will carry on. If the Government loses, then we will certainly see an exodus of companies from the jurisdiction. 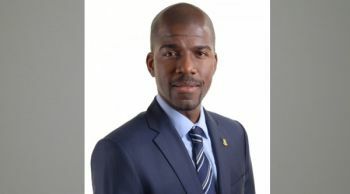 The VI urgently needs to begin rebalancing the economy to reduce the Territory’s vulnerability to the external pressures on the financial services industry. Rebalancing the economy calls for channelling greater resources toward the expansion of other sectors of the economy that have the potential to drive economic growth. The VI’s economic recovery after the Global Financial Crisis provides some guidance on this. In 2009 the economy contracted by 11.7 per cent because of the global recession. Company incorporations fell by 23 per cent and tourist arrivals fell by 77,405 visitors. By the end of that year GDP stood at $876 million after losses of $116 million. However, by 2017, GDP stood at just over $1 billion. In a span of 8 years the economy grew by more than $123 million which was achieved largely through a sharp increase in public spending on capital projects and a significant increase in tourist arrivals that hit 1 million by the end of 2016. Company incorporations also grew modestly. So, in fact it is already well understood that tourism and construction are the key economic drivers that can accelerate expansion of the economy on a scale that would return GDP to $1 billion within 10 years. The current recovery from Hurricanes Irma and Maria provide the level of demand for this scale of economic growth, at least in the construction sector. Tourism’s multi-sectoral potential makes it ideally placed to rebalance and reshape the economy over the long-term. If leveraged strategically, the industry can become a powerful driver of economic diversification through stronger commercial linkages to agriculture, fisheries, sports, health, culture and other local sectors. The multiplier effect in the economy would be powerful and generate jobs and business opportunities. But rebalancing the economy toward tourism and construction will not happen magically on its own. These sectors will have to be supported by the Government and private sector. This includes investment in infrastructure that supports the growth and development of the tourism industry. The Government can begin its infrastructure programme with rebuilding and upgrading the essential economic infrastructure of the islands such as the highways and main roads, air and sea ports and ICT networks. This will provide an economic lift to the Territory. Their completion at international standard and efficient operation would fully re-establish the smooth flow of commerce across the islands and make the VI attractive for private investment, where needed. World class ICT has the potential to unlock the productivity and efficiency of the private and public sectors. A genuine effort is also needed to make the VI more business friendly with respect to administrative processes and approvals. E-government for example can help to make completing applications much easier and quicker for the private sector. This would be more cost effective and cut processing times. Citizens would also tremendously benefit. The Government’s financial constraints mean private investment will have to play an important role in achieving the results desired, but a proper investment framework is needed for this. The financial services sector is facing serious external pressure and the economy must be quickly rebalanced toward tourism and construction to compensate for any negative impacts. Rebalancing the economy, however, does not mean that the VI should give up on financial services. But the reality is that if current trends hold, the Territory will have to reinvent itself as a jurisdiction if it wishes to remain a relevant International Finance Centre (IFC). Financial services can actually be globally repositioned on the back of better connectivity to the outside world and financial technology (fintech). However, this shift cannot happen overnight and will require a transition period. Tourism is the primary industry that can ensure the VI has a soft landing and return to strong economic growth in the years ahead. If the VI is going to have a successful recovery, it must be a tourism-led recovery. Tourism (about $400m, pre-Irma) and construction (about $200m) already diversify our economy, while Financial Services contributes about $500m+ to our economy. The main question is how much they contribute to our Government budget of $300m. Financial services provide about 60% directly (corporate fees) and at least another 10% indirectly (payroll taxes, etc) to the Government. How do you increase the contribution to government from the other industrial sectors without increasing the burden on taxpayers? - realizing the potential of Anegada for all sorts of tourism, and new industries such as renewable energy, greenhouses etc. - re-developing our fishing complexes and capitalizing on our fishing industry. Great article but like @truthseeker, whose list I agree with 100%, I would sports tourism and sports fishing as well.